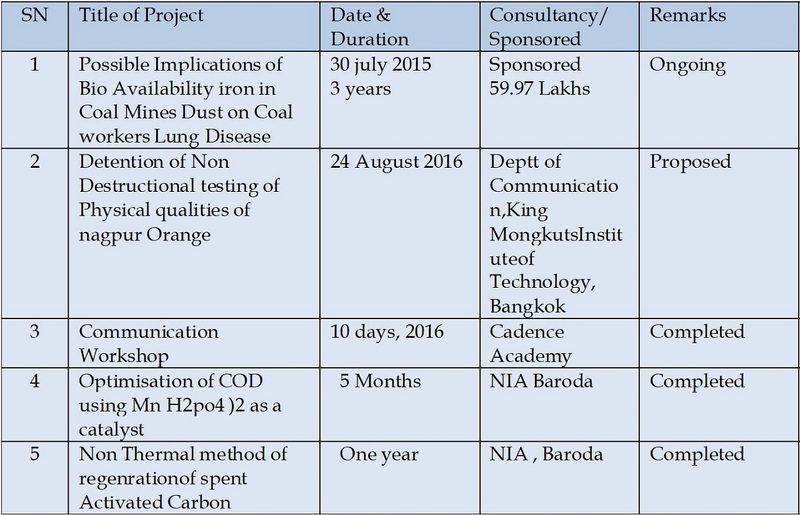 To encourage Industry to collaborate in Industry Study Tour Programme (ISTP) / Intern-ship Programme, In-plant Training. 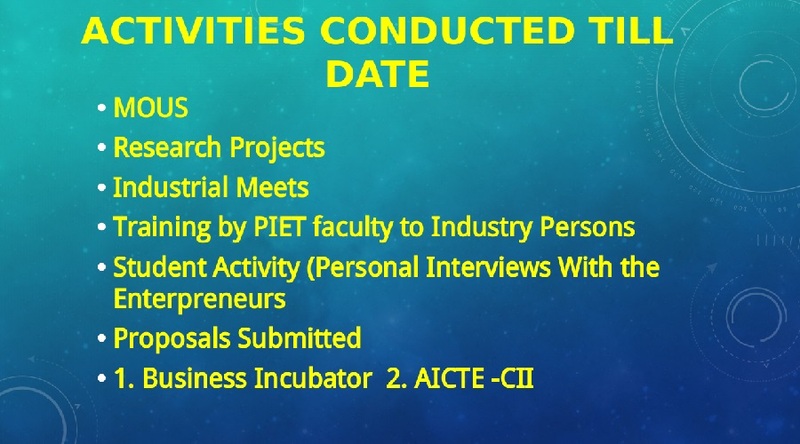 Organizing seminars, symposiums, exhibitions and workshops on latest technological advancements, evaluation of project work with the collaborative efforts between industrial experts and institute departments Industrial Visit. 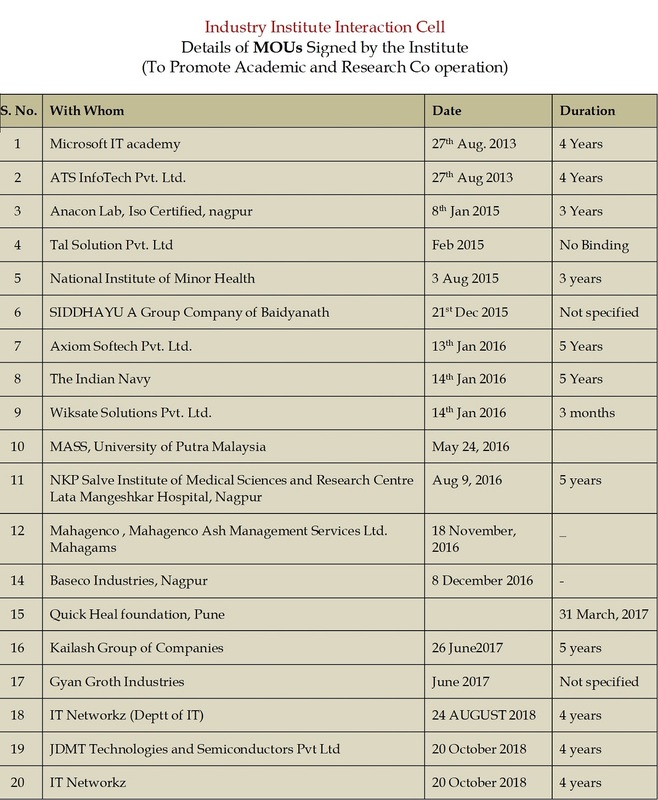 Widening and effectively implementing the area of R & D and consultancy between the industries and the Institute. Motivate the young executives to become successful entrepreneurs. 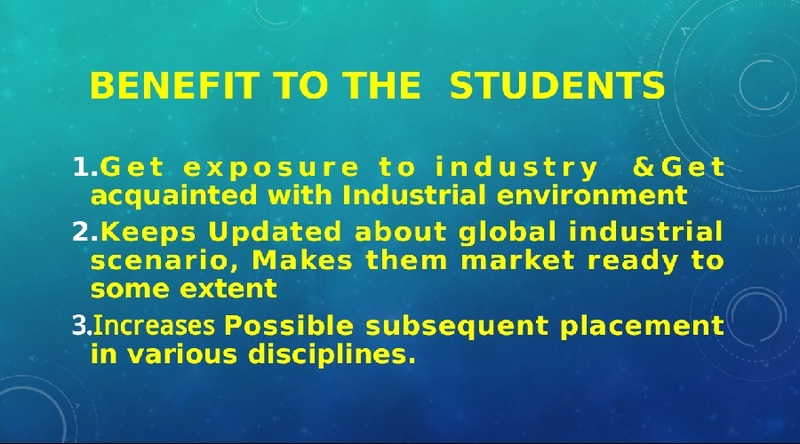 To promote participation of industry personnel in the development of curricula & high quality student projects. 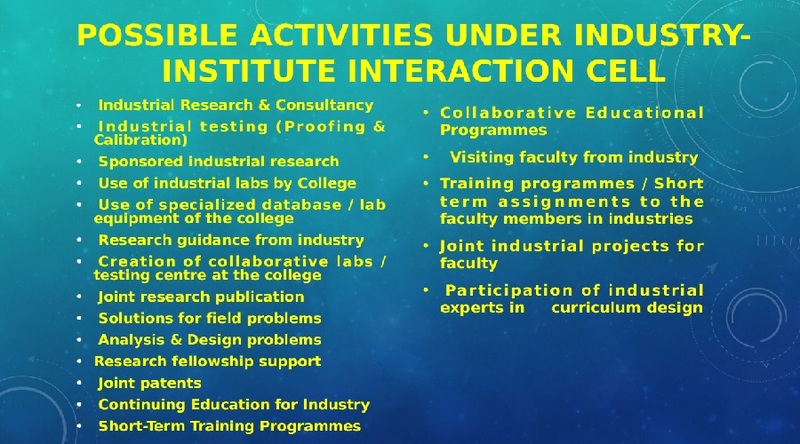 To arrange industry visits and industrial training for the faculty and students of our institution. 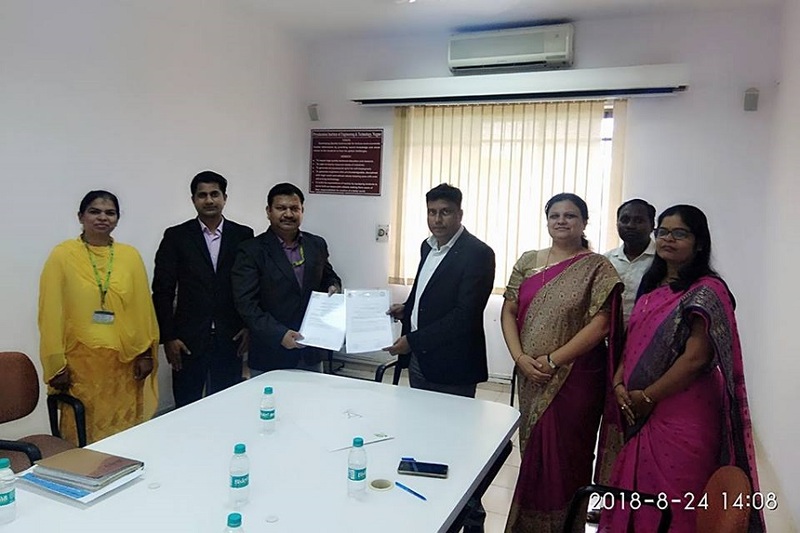 PRIYADARSHINI INSTIUTE OF ENGINEERING & TECHNOLOGY, PIET, RECENTLY SIGNED MOU WITH KAILASH GROUP OF INDUSTRIES, NAGPUR, WHO ARE ONE OF LEADING PRODUCERS OF AGARBATTI, PERFUMES, SOAPS AND DETERGENTS, AND OTHER DOMESTIC PRODUCTS. DR. V.M. NANOTI, PRINCIPAL PIET, OPINED THAT SUCH LIVE MOUS SURELY STRENGTHEN THE INSTITUTES AS WELL AS THE STUDENTS. 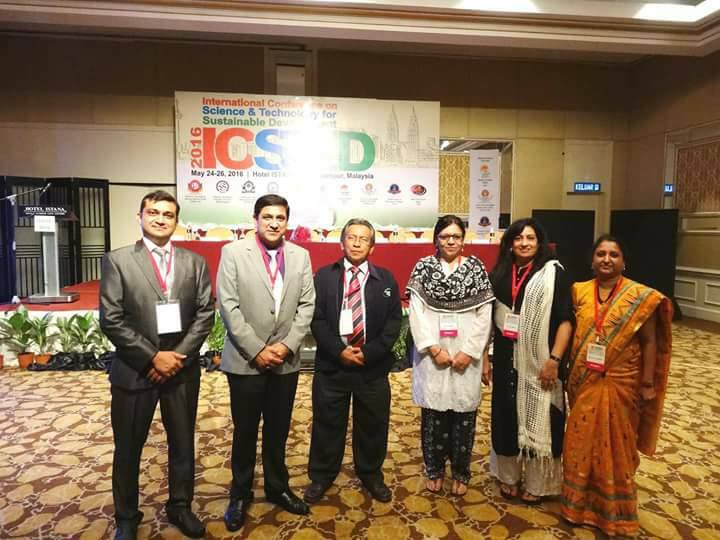 MR.J.THAKRAL, MD OF KAILASH GROUP SAID HE WOULD EXTEND ALL POSSIBLE HELP AND TRAIN THE STUDENTS IN HIS FIELD, BY EXTENDING LIVE PROJECTS , CONSULTANCY PROJECTS ETC. . DR. MRS. SWARDA MOTE , III CO-ORDINATOR, PIET, COORINATED THE WHOLE EVENT. PROMINENTLY PRESENT WER DR. G.M.ASUTAKR,VP, PIET, DR. S.K.DESHMUKH, HEAD, CE, DEPTT, RICHA SINGH, SR. EXECUTIVE. III,LTJSS GROUP. 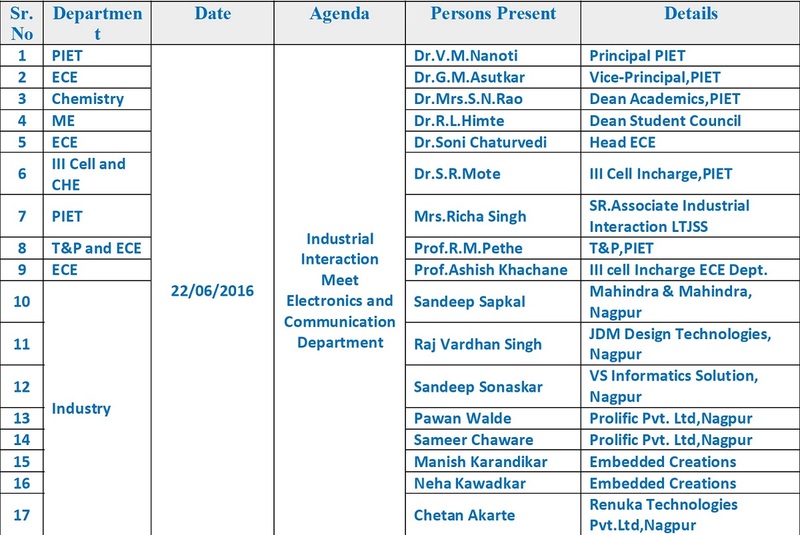 I.I.I Cell of PIET, organized a guest lecture on 29 August , 2017 at PIET, Nagpur. Mr. Ranjan Acharya, GM, IOCL, Rajkot Gujrat Shared his expertise and Experience , through his lecture on "Safety in Chemical Process Industries" Dr. V .M. Nanoti, Principal, PIET, Nagpur addressed the gathering.Prominently present were Dr. S.D.dawande, Mr. Kapil Sahoo, Dr. G.M. 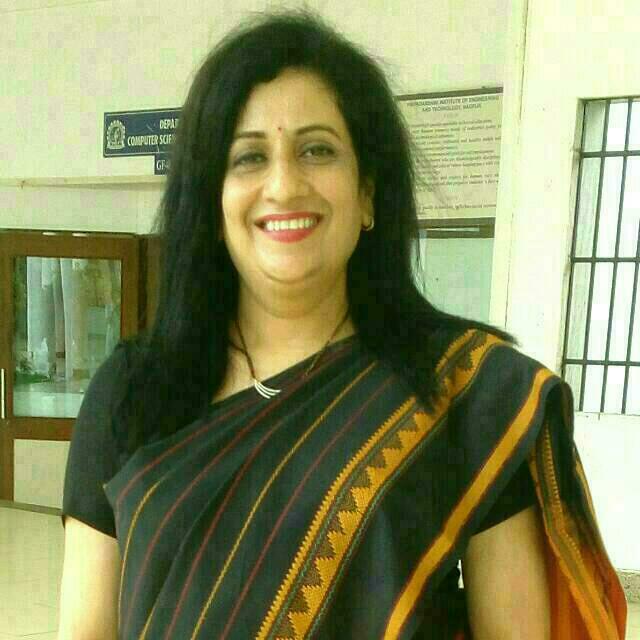 Asutkar, Vice Principal, PIET. Dr. Sameer Deshmukh, HOD Chemical Engineering department welcomed the Guest. 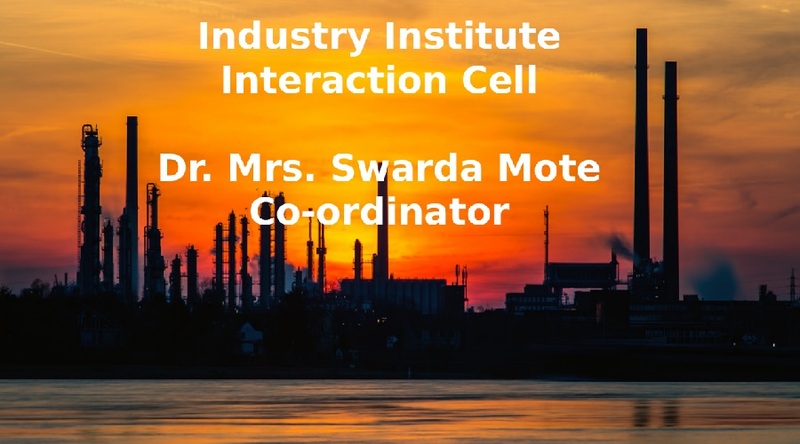 Dr. Swarda Mote, Coordinator, I.I.I Cell, Organised & coordinated the whole event. Dr. V. Gedam & Mr. A.Bhusari, Supported the event. Mr. Mitesh Tanna & Miss Rakshita conducted the proceedings. Prof. Pallavi Katre Proposed a Vote of thanks. The students were highly benefitted by the Expertise. I.I.I Cell of Department of Chemical Engg. 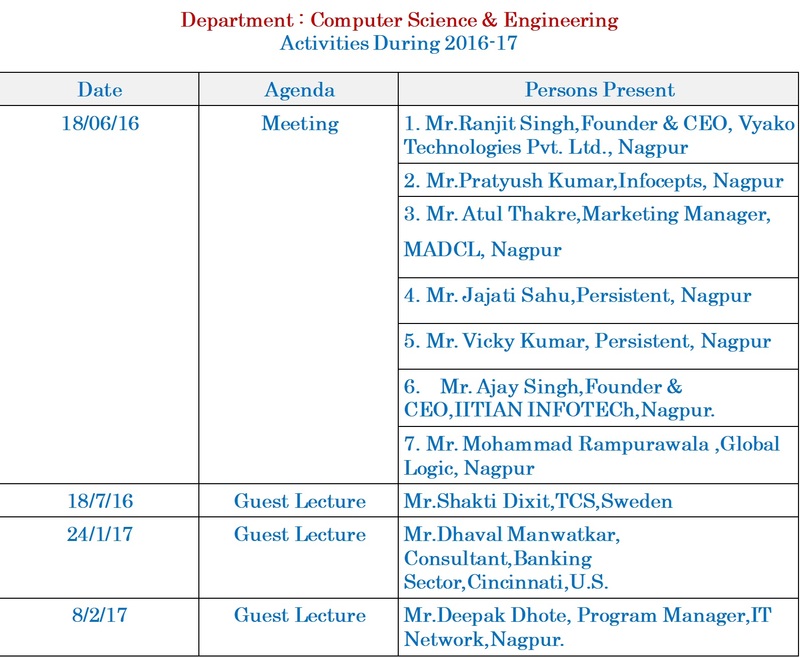 organized a guest lecture on 17th Sept., 2016 at PIET, Nagpur. The prominent speaker Dr. P.S. Dutt, Head, Business Development Unit (BDU), NEERI, Nagpur delivered lecture on Engineering Design: A Performance Perspective Dr. V.M. Nanoti, Principal, PIET, Nagpur addressed the gathering.Prominently present were Dr. G.M. 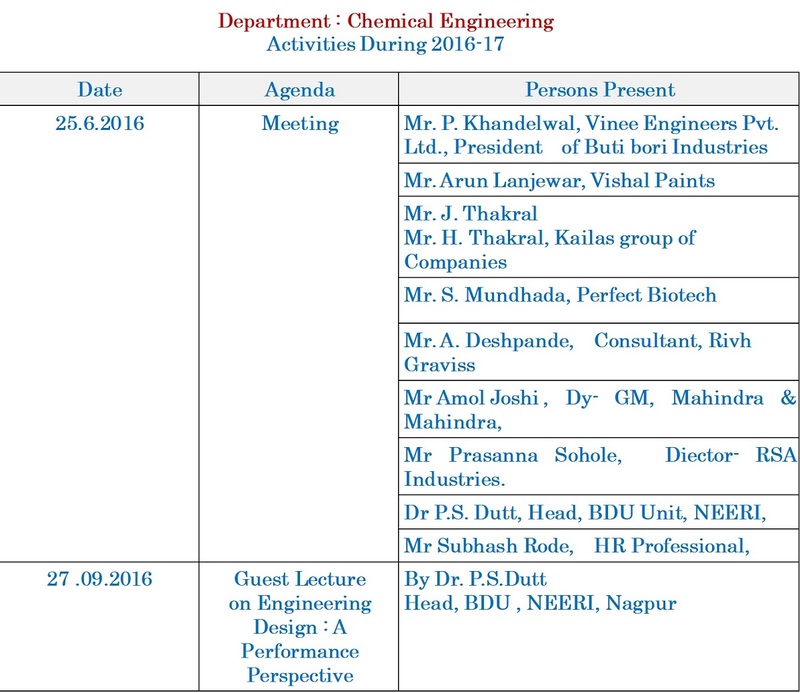 Asutkar, Vice Principal, PIET, Dr. Sameer Deshmukh, HOD Chemical Engineering department welcomed the Guest. Dr. Swarda Mote, Coordinator, I.I.I Cell, Mr. Vrushabh Kurrewar and Prof. Vandana Sakhare organised and Co-ordinated the whole program. The annual Magazine Chess world was also released in the event. Mr. Mihul Gabhane conducted the proceedings. Prof. Vandana Sakhre Proposed a Vote of thanks. The students were highly benefitted by the Expertise. 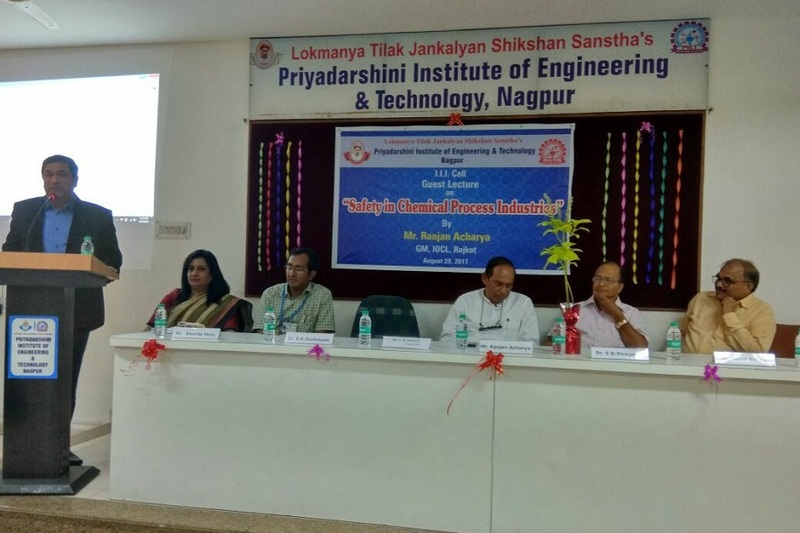 An Industrial meet was held recently at Priyadarshini Institute of Engineering & Technology, Nagpur, by the Dept of Chemical Engineering, Industry Institute Interaction cell & IR cell, of to get the suggestions of Industry Representatives for Vision, Mission and Program Education Objectives, Existing gaps between university curriculum and Industry expectation, Suggestion and methodology to merge existing gaps between industry and academic institutions. 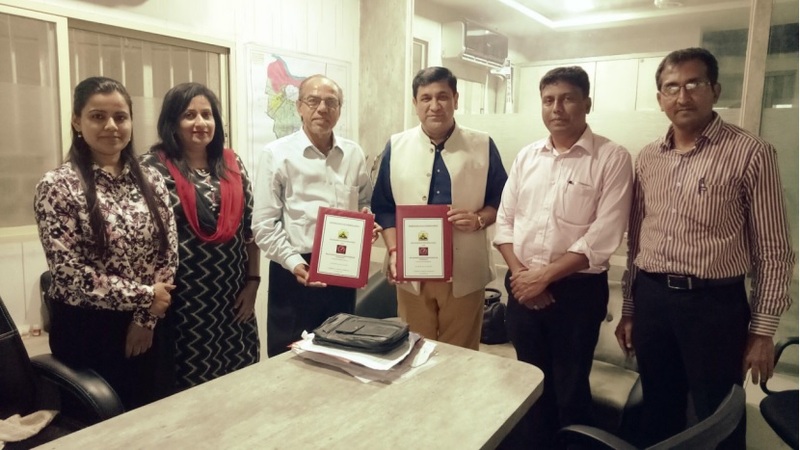 Prominently present were Mr Pradeep Khandel, MD, Vinee Engineerings and president of Butibori Industries Association., Mr Jagadish Thakral, & Mr. Hardik Thakral, MD, Kailash grp of Industries, Mr Ajay Deshpande, Consultant, Rivh Graviss, Dr P.S. Dutt, Head, BDU Unit, NEERI, Mr Arun Lanjewar, MD, Vishal Paints, Mr Sunilt Mundhada, MD, Perfect Biotech, Mr Subhash Rode, HR Professional, Mr Amol Joshi , Dy- GM, Mahindra & Mahindra, Mr Prasanna Sohole, Diector- RSA Industries. 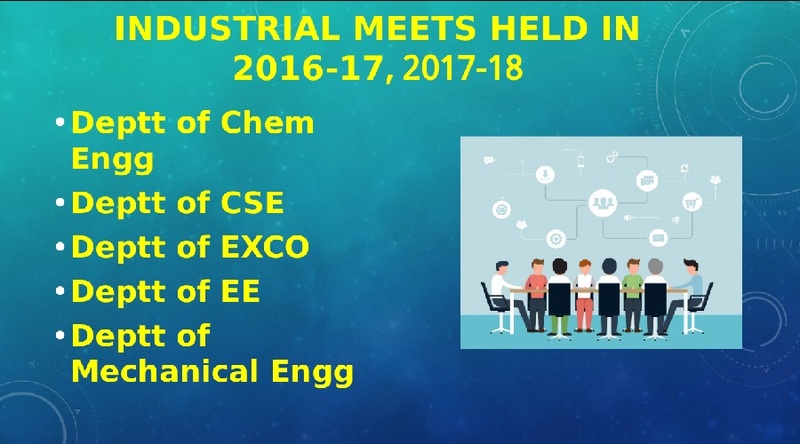 Dr Vivek Nanoti, Principal spoke about the goal of such meets and discussions.Dr G M Asutkar, Vice-Principal, spoke about gaps between quality of engineering industry.Dr S.K. 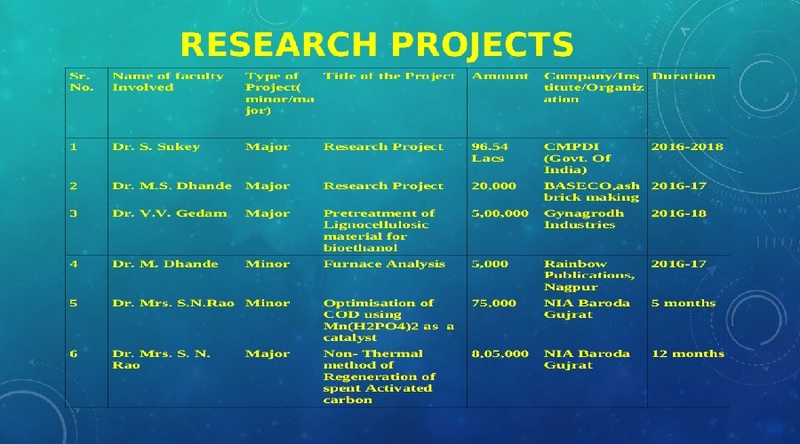 Deshmukh, HOD, Chemical Engineering Dept. 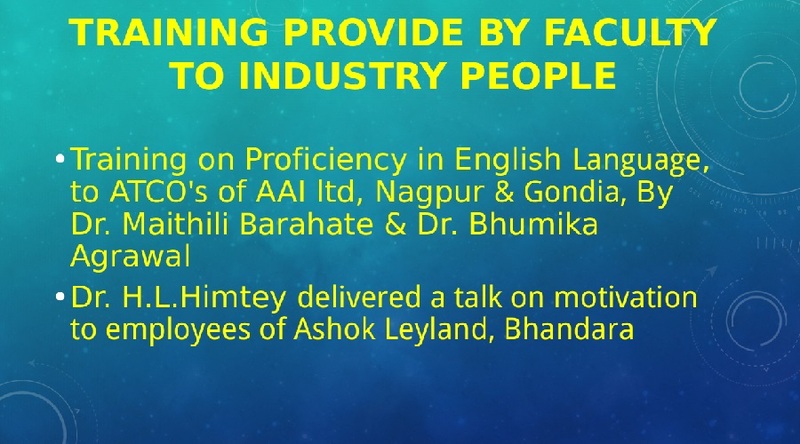 spoke about the mission & Vision of the Dept, Dr. Swarda Mote, III In charge spoke about the ongoing Industry Institute interactions and how the College is taking up the value addition process by various MOU’s or activities with the industry. Dr. Mrs. S.N. Rao, Dr. Himte, Prof. Pethe, Prof. Makarand,T&P,LTJSS Suggested their views on the above agendas. Prof P.C. Desai & Dr. . V.V. Gedam compered the program and Ms Richa Singh gave the vote of thanks.